A clever idea which has proved very popular with our customers. Also popular with skiers and those doing hunting, shooting and fishing as well as the population in general. Small but so effective! 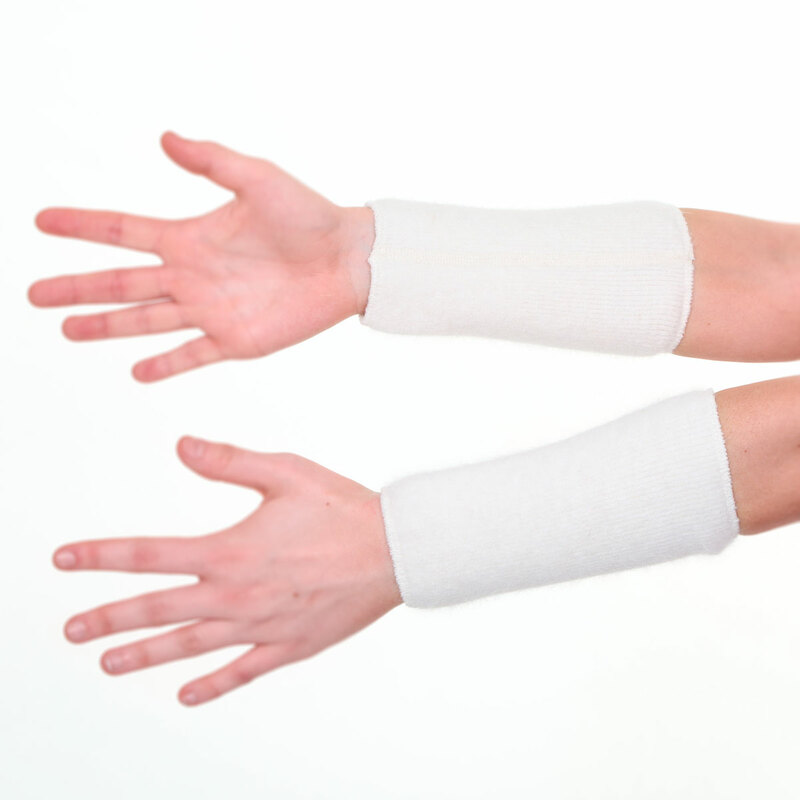 Fill that chilly gap between sleeves and gloves. 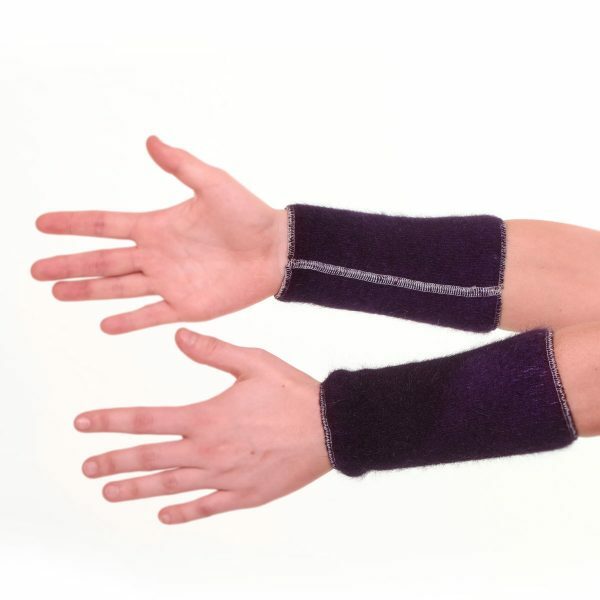 Of therapeutic benefit to tired and aching wrists as well as wrist injuries including breaks, sprains etc. Stretchy, comfortable fit. NB: When we hand dye these garments the seam thread remains white.